Do you love steak? Me too! As well as being super-tasty, it’s also high in protein, and naturally gluten-free. I also find it’s really filling, which means I don’t want dessert after eating it. What I don’t like is tough, chewy steak. Unless you are prepared to pay a lot of money for meat, all too often you’ll end up with a steak that seems like it’s made of old boot leather! To me, tough steak is worse than no steak at all. I was telling a friend about my dislike of tough steaks, and they told me about this recipe for marinating skirt steak that, they said, would put an end to tough meat forever. Apparently, the combination of ingredients helps soften the meat, and also makes it taste divine. Interested, I gave the recipe a try, and have to say it is every bit as good as I was told. 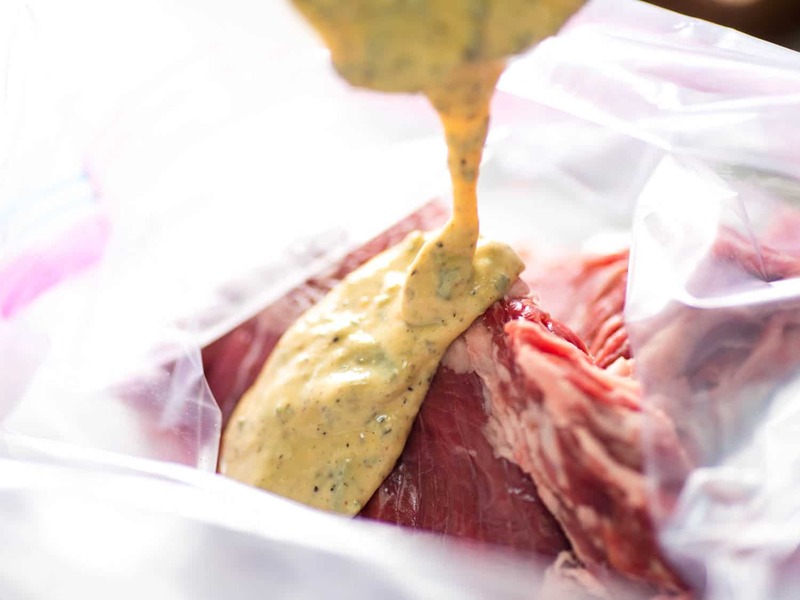 It’s easy to do, but makes such a big difference to the taste and texture of your meat. Serve with a big plate of green beans and some mashed potatoes for a healthy, filling dinner that I know you’ll love. 4. Once the meat is marinated, put your steaks on a hot grill until they are cooked to your preferred level of doneness. Four minutes per side = medium-rare. Enjoy home cooking with tasty and healthy ideas. Find more dinner recipes here.